The summer of 1927 began with one of the signature events of the twentieth century: on May 21, 1927, Charles Lindbergh became the first man to cross the Atlantic by plane nonstop, and when he landed in Le Bourget airfield near Paris, he ignited an explosion of worldwide rapture and instantly became the most famous person on the planet. Meanwhile, the titanically talented Babe Ruth was beginning his assault on the home run record, which would culminate on September 30 with his sixtieth blast, one of the most resonant and durable records in sports history. In between those dates a Queens housewife named Ruth Snyder and her corset-salesman lover garroted her husband, leading to a murder trial that became a huge tabloid sensation. Alvin â€œShipwreckâ€ Kelly sat atop a flagpole in Newark, New Jersey, for twelve daysâ€”a new record. The American South was clobbered by unprecedented rain and by flooding of the Mississippi basin, a great human disaster, the relief efforts for which were guided by the uncannily able and insufferably pompous Herbert Hoover. Calvin Coolidge interrupted an already leisurely presidency for an even more relaxing three-month vacation in the Black Hills of South Dakota. The gangster Al Capone tightened his grip on the illegal booze business through a gaudy and murderous reign of terror and municipal corruption. The first true â€œtalking picture,â€ Al Jolsonâ€™s The Jazz Singer, was filmed and forever changed the motion picture industry. The four most powerful central bankers on earth met in secret session on a Long Island estate and made a fateful decision that virtually guaranteed a future crash and depression. 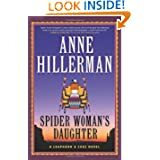 Anne Hillerman, the talented daughter of bestselling author Tony Hillerman, continues his popular Leaphorn and Chee series with Spider Womanâ€™s Daughter, a Navajo Country mystery, filled with captivating lore, startling suspense, bold new characters, vivid color, and rich Southwestern atmosphere. This is the finale that fans have been waiting for.Â In Taking Even, the game began.Â In Hunting Eve, the chase was on.Â Now, in Silencing Eve, the prey is cornered.Â Will Eve Duncan survive?Â Will those she loves take the fall with her? And will the secrets of Eveâ€™s past ultimately become her undoing?Â In Silencing Eve, all the questions will be answered in a shocking, you never saw it coming conclusion. 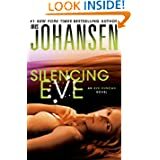 Iris Johansenâ€™s 2012 trilogy, Eve, Quinn, Bonnie was a phenomenal success, reaching number one on bestseller lists nationwide.Â Now, with this newest trilogy, the stakes are even higher because itâ€™s a question of capture and escape, hunter and prey, life and death. 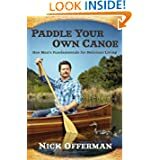 Growing a perfect moustache, grilling red meat, wooing a womanâ€”who better to deliver this tutelage than the always charming, always manly Nick Offerman, best known as Parks and Recreationâ€™s Ron Swanson?Â Combining his trademark comic voice and very real expertise in woodworkingâ€”he runs his own woodshopâ€”Paddle Your Own Canoe features tales from Offermanâ€™s childhood in small-town Minooka, Illinoisâ€”â€œI grew up literally in the middle of a cornfieldâ€â€”to his theater days in Chicago, beginnings as a carpenter/actor and the hilarious and magnificent seduction of his now-wife Megan Mullally.Â Â It also offers hard-bitten battle strategies in the arenas of manliness, love, style, religion, woodworking, and outdoor recreation, among many other savory entrees. #1 New York Times bestselling author J.R. Ward explores what really happens when good and evil toy with humanity in her new novel of the Fallen Angels, as the salvation of a doomed soul depends once again on a crossroads…When Cait Douglass resolves to get over her broken heart, throw off her inhibitions, and start really living, sheâ€™s unprepared for the two sensual men who cross her path.Â Torn between them, she doesnâ€™t know which to choose–or what kind of dire consequences could follow.Jim Heron, fallen angel and reluctant savior, is ahead in the war, but he puts everything at risk when he seeks to make a deal with the devil–literally.Â As yet another soul is unwittingly caught in the battle between him and the demon Devina, his fixation on an innocent trapped in Hell threatens to sidetrack him from his sacred duty…Can good still prevail if true love makes a savior weak?Â And will a womanâ€™s future be the key, or the curse, for all of humanity?Â Only time, and hearts, will tell. COLLEGE FOOTBALL has never been more popularâ€”or more chaotic. Millions fill 100,000-seat stadiums every Saturday; tens of millions more watch on television every weekend. The 2013 Discover BCS National Championship game between Notre Dame and Alabama had a viewership of 26.4 million people, second only to the Super Bowl. Billions of dollars from television deals now flow into the game; the average budget for a top-ten team is $80 million; top coaches make more than $3 million a year; the highest paid, more than $5 million. But behind this glittering success are darker truths: â€œathlete-studentsâ€ working essentially full-time jobs with no share in the oceans of money; players who often donâ€™t graduate and end their careers with broken bodies; â€œjanitorsâ€ who clean up player misconduct; football â€œhostessesâ€ willing to do whatever it takes to land a top recruit; seven-figure black box recruiting slush funds. 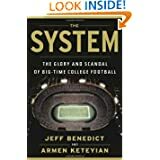 And this: Despite the millions of dollars pouring into the game, 90 percent of major athletic departments still lose money. Yet schools remain caught up in an ever-escalating â€œarms raceâ€â€”at the expense of academic scholarships, facilities and faculty. Dawson Scott is a well-respected journalist recently returned from Afghanistan. Haunted by everything he experienced, he’s privately suffering from battle fatigue which is a threat to every aspect of his life. But then he gets a call from a source within the FBI. A new development has come to light in a story that began 40 years ago. It could be the BIG story of Dawson’s career one in which he has a vested interest.Soon, Dawson is covering the disappearance and presumed murder of former Marine Jeremy Wesson, the biological son of the pair of terrorists who remain on the FBI’s Most Wanted list. As Dawson delves into the story, he finds himself developing feelings for Wesson’s ex-wife, Amelia, and her two young sons. But when Amelia’s nanny turns up dead, the case takes a stunning new turn, with Dawson himself becoming a suspect. 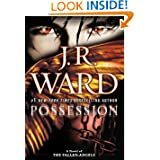 Haunted by his own demons, Dawson takes up the chase for the notorious outlaws. . .and the secret, startling truth about himself. 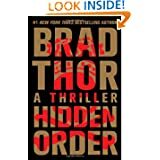 Picking up where Frozen Heat left off, top NYPD Homicide Detective Nikki Heat pursues the elusive former CIA station chief who ordered the execution of her mother over a decade ago.For the hunt, Nikki teams once again with her romantic partner, Pulitzer Prize winning investigative journalist Jameson Rook, and their quest for the old spy and the motive behind the past murder unearths an alarming terror plot-which is anything but ancient history. It is lethal. It is now. 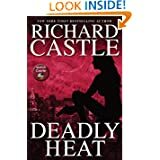 And it has already entered its countdown phase.Complicating Heat’s mission to bring the rogue spy to justice and thwart the looming terror event, a serial killer begins menacing the Twentieth Precinct and her homicide squad is under pressure to stop him, and soon. The frightening murderer, known for his chilling stealth, not only has singled out Nikki as the exclusive recipient of his taunting messages, he then boldly names his next victim: Detective Heat. Scotland Yardâ€™s new chief inspector Nicholas Drummond is on the first flight to New York when he learns his colleague, Elaine York, the â€œminderâ€ of the Crown Jewels for the â€œJewel of the Lionâ€ exhibit at the Metropolitan Museum of Art, was found murdered. Then the centerpiece of the exhibit, the infamous Koh-i-Noor Diamond, is stolen from the Queen Motherâ€™s crown. Drummond, American-born but raised in the UK, is a dark, dangerous, fast-rising star in the Yard who never backs down. And this case is no exception.Special Agents Lacey Sherlock and Dillon Savich from Coulterâ€™s bestselling FBI series donâ€™t hesitate to help Drummond find the cunning international thief known as the Fox. Nonstop action and high stakes intensify as the chase gets deadly. The Fox will stop at nothing to deliver the Koh-i-Noor to the man who believes in its deadly prophecy. Nicholas Drummond, along with his partner, FBI Special Agent Mike Caine, lay it on the line to retrieve the diamond for Queen and country. 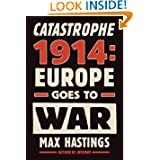 From the acclaimed military historian, a new history of the outbreak of World War I: the dramatic stretch from the breakdown of diplomacy to the battlesâ€”the Marne, Ypres, Tannenbergâ€”that marked the frenzied first year before the war bogged down in the trenches. As he has done in his celebrated, award-winning works on World War II, Hastings gives us frank assessments of generals and political leaders and masterly analyses of the political currents that led the continent to war. He argues passionately against the contention that the war was not worth the cost, maintaining that Germanyâ€™s defeat was vital to the freedom of Europe. Throughout we encounter statesmen, generals, peasants, housewives and private soldiers of seven nations in Hastingsâ€™s accustomed blend of top-down and bottom-up accounts: generals dismounting to lead troops in bayonet charges over 1,500 feet of open ground; farmers who at first decried the requisition of their horses; infantry men engaged in a haggard retreat, sleeping four hours a night in their haste. This is a vivid new portrait of how a continent became embroiled in war and what befell millions of men and women in a conflict that would change everything. On highways across America, a tribe of people called the True Knot travel in search of sustenance. They look harmlessâ€”mostly old, lots of polyester, and married to their RVs. But as Dan Torrance knows, and spunky twelve-year-old Abra Stone learns, the True Knot are quasi-immortal, living off the steam that children with the shining produce when they are slowly tortured to death.Haunted by the inhabitants of the Overlook Hotel, where he spent one horrific childhood year, Dan has been drifting for decades, desperate to shed his fatherâ€™s legacy of despair, alcoholism, and violence. Finally, he settles in a New Hampshire town, an AA community that sustains him, and a job at a nursing home where his remnant shining power provides the crucial final comfort to the dying. 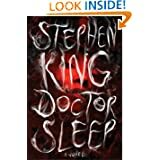 Aided by a prescient cat, he becomes â€œDoctor Sleep.â€Then Dan meets the evanescent Abra Stone, and it is her spectacular gift, the brightest shining ever seen, that reignites Danâ€™s own demons and summons him to a battle for Abraâ€™s soul and survival. This is an epic war between good and evil, a gory, glorious story that will thrill the millions of devoted readers of The Shining and satisfy anyone new to this icon in the King canon. From the Pulitzer Prize-winning, best-selling author of The Namesake comes an extraordinary new novel, set in both India and America, that expands the scope and range of one of our most dazzling storytellers: a tale of two brothers bound by tragedy, a fiercely brilliant woman haunted by her past, a country torn by revolution, and a love that lasts long past death.Born just fifteen months apart, Subhash and Udayan Mitra are inseparable brothers, one often mistaken for the other in the Calcutta neighborhood where they grow up. But they are also opposites, with gravely different futures ahead. It is the 1960s, and Udayanâ€”charismatic and impulsiveâ€”finds himself drawn to the Naxalite movement, a rebellion waged to eradicate inequity and poverty; he will give everything, risk all, for what he believes. 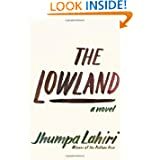 Subhash, the dutiful son, does not share his brotherâ€™s political passion; he leaves home to pursue a life of scientific research in a quiet, coastal corner of America.But when Subhash learns what happened to his brother in the lowland outside their familyâ€™s home, he goes back to India, hoping to pick up the pieces of a shattered family, and to heal the wounds Udayan left behindâ€”including those seared in the heart of his brotherâ€™s wife.Masterly suspenseful, sweeping, piercingly intimate, The Lowland is a work of great beauty and complex emotion; an engrossing family saga and a story steeped in history that spans generations and geographies with seamless authenticity. It is Jhumpa Lahiri at the height of her considerable powers. 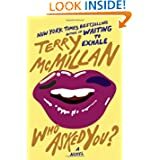 With her wise, wry, and poignant novels of families and friendshipsâ€”Waiting to Exhale, Getting to Happy, and A Day Late and a Dollar Short among themâ€”Terry McMillan has touched millions of readers. Now, in her eighth novel, McMillan gives exuberant voice to characters who reveal how we live nowâ€”at least as lived in a racially diverse Los Angeles neighborhood.Kaleidoscopic, fast-paced, and filled with McMillanâ€™s inimitable humor, Who Asked You? opens as Trinetta leaves her two young sons with her mother, Betty Jean, and promptly disappears. BJ, a trademark McMillan heroine, already has her hands full dealing with her other adult children, two opinionated sisters, an ill husband, and her own postponed dreamsâ€”all while holding down a job delivering room service at a hotel. 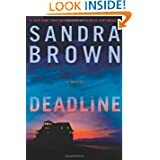 Her son Dexter is about to be paroled from prison; Quentin, the family success, canâ€™t be bothered to lend a hand; and taking care of two lively grandsons is the last thing BJ thinks she needs. The drama unfolds through the perspectives of a rotating cast of characters, pitch-perfect, each playing a part, and full of surprises.Who Asked You? casts an intimate look at the burdens and blessings of family and speaks to trusting your own judgment even when others donâ€™t agree. McMillanâ€™s signature voice and unforgettable characters bring universal issues to brilliant, vivid life. 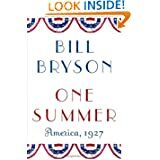 Millions of readers have thrilled to bestselling authors Bill Oâ€™Reilly and historian Martin Dugardâ€™s Killing Kennedy and Killing Lincoln, page-turning works of nonfiction that have changed the way we read history. 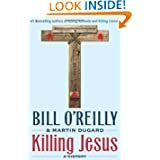 Now the anchor of The Oâ€™Reilly Factor details the events leading up to the murder of the most influential man in history: Jesus of Nazareth. Nearly two thousand years after this beloved and controversial young revolutionary was brutally killed by Roman soldiers, more than 2.2 billion human beings attempt to follow his teachings and believe he is God. Killing Jesus will take readers inside Jesusâ€™s life, recounting the seismic political and historical events that made his death inevitable – and changed the world forever. It is 2001 in New York City, in the lull between the collapse of the dot-com boom and the terrible events of September 11th. Silicon Alley is a ghost town, Web 1.0 is having adolescent angst, Google has yet to IPO, Microsoft is still considered the Evil Empire. There may not be quite as much money around as there was at the height of the tech bubble, but thereâ€™s no shortage of swindlers looking to grab a piece of whatâ€™s left.Maxine Tarnow is running a nice little fraud investigation business on the Upper West Side, chasing down different kinds of small-scale con artists. She used to be legally certified but her license got pulled a while back, which has actually turned out to be a blessing because now she can follow her own code of ethicsâ€”carry a Beretta, do business with sleazebags, hack into peopleâ€™s bank accountsâ€”without having too much guilt about any of it. Otherwise, just your average working momâ€”two boys in elementary school, an off-and-on situation with her sort of semi-ex-husband Horst, life as normal as it ever gets in the neighborhoodâ€”till Maxine starts looking into the finances of a computer-security firm and its billionaire geek CEO, whereupon things begin rapidly to jam onto the subway and head downtown. 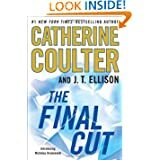 She soon finds herself mixed up with a drug runner in an art deco motorboat, a professional nose obsessed with Hitlerâ€™s aftershave, a neoliberal enforcer with footwear issues, plus elements of the Russian mob and various bloggers, hackers, code monkeys, and entrepreneurs, some of whom begin to show up mysteriously dead. 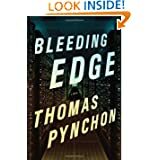 Foul play, of course.With occasional excursions into the DeepWeb and out to Long Island, Thomas Pynchon, channeling his inner Jewish mother, brings us a historical romance of New York in the early days of the internet, not that distant in calendar time but galactically remote from where weâ€™ve journeyed to since.Will perpetrators be revealed, forget about brought to justice? Will Maxine have to take the handgun out of her purse? Will she and Horst get back together? Will Jerry Seinfeld make an unscheduled guest appearance? Will accounts secular and karmic be brought into balance?Hey. Who wants to know? From one of the foremost authorities on education in the United States, former U.S. assistant secretary of education, â€œwhistle-blower extraordinaireâ€ (The Wall Street Journal), author of the best-selling The Death and Life of the Great American School System (â€œImportant and rivetingâ€â€”Library Journal), The Language Police (â€œImpassioned . . . Fiercely argued . . . Every bit as alarming as it is illuminatingâ€â€”The New York Times), and other notable books on education history and policyâ€”an incisive, comprehensive look at todayâ€™s American school system that argues against those who claim it is broken and beyond repair; an impassioned but reasoned call to stop the privatization movement that is draining students and funding from our public schools. 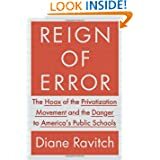 â€‹In Reign of Error, Diane Ravitch argues that the crisis in American education is not a crisis of academic achievement but a concerted effort to destroy public schools in this country. She makes clear that, contrary to the claims being made, public school test scores and graduation rates are the highest theyâ€™ve ever been, and dropout rates are at their lowest point. 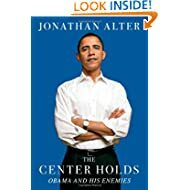 â€‹She argues that federal programs such as George W. Bushâ€™s No Child Left Behind and Barack Obamaâ€™s Race to the Top set unreasonable targets for American students, punish schools, and result in teachers being fired if their students underperform, unfairly branding those educators as failures. She warns that major foundations, individual billionaires, and Wall Street hedge fund managers are encouraging the privatization of public education, some for idealistic reasons, others for profit. Many who work with equity funds are eyeing public education as an emerging market for investors. 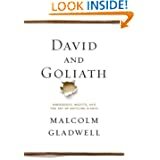 â€‹Reign of Error begins where The Death and Life of the Great American School System left off, providing a deeper argument against privatization and for public education, and in a chapter-by-chapter breakdown, putting forth a plan for what can be done to preserve and improve it. She makes clear what is right about U.S. education, how policy makers are failing to address the root causes of educational failure, and how we can fix it. â€‹For Ravitch, public school education is about knowledge, about learning, about developing character, and about creating citizens for our society. Itâ€™s about helping to inspire independent thinkers, not just honing job skills or preparing people for college. Public school education is essential to our democracy, and its aim, since the founding of this country, has been to educate citizens who will help carry democracy into the future. Lieutenant Eve Dallas has plenty to be grateful for this season. Hosting Roarkeâ€™s big Irish family for the holiday may be challenging, but itâ€™s a joyful improvement on her own dark childhood. Other couples arenâ€™t as lucky as Eve and Roarke. The Reinholds, for example, are lying in their home stabbed and bludgeoned almost beyond recognition. Those who knew them are stunnedâ€”and heartbroken by the evidence that they were murdered by their own son. 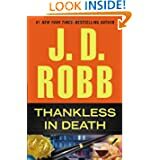 Twenty-six-year-old Jerry hadnâ€™t made a great impression on the bosses who fired him or the girlfriend who dumped himâ€”but they didnâ€™t think he was capable of this. Turns out Jerry is not only capable of brutality but taking a liking to it. With the money heâ€™s stolen from his parents and a long list of grievances, he intends to finally make his mark on the world. Eve and her team already know the who, how, and why of this murder. What they need to pinpoint is where Jerryâ€™s going to strike next. Famed investigative journalist Eric Schlosser digs deep to uncover secrets about the management of Americaâ€™s nuclear arsenal. 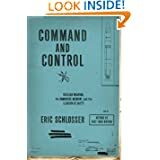 A ground-breaking account of accidents, near-misses, extraordinary heroism, and technological breakthroughs, Command and Control explores the dilemma that has existed since the dawn of the nuclear age: how do you deploy weapons of mass destruction without being destroyed by them? That question has never been resolved–and Schlosser reveals how the combination of human fallibility and technological complexity still poses a grave risk to mankind. Written with the vibrancy of a first-rate thriller, Command and Control interweaves the minute-by-minute story of an accident at a nuclear missile silo in rural Arkansas with a historical narrative that spans more than fifty years. It depicts the urgent effort by American scientists, policymakers, and military officers to ensure that nuclear weapons canâ€™t be stolen, sabotaged, used without permission, or detonated inadvertently. Schlosser also looks at the Cold War from a new perspective, offering history from the ground up, telling the stories of bomber pilots, missile commanders, maintenance crews, and other ordinary servicemen who risked their lives to avert a nuclear holocaust. At the heart of the book lies the struggle, amid the rolling hills and small farms of Damascus, Arkansas, to prevent the explosion of a ballistic missile carrying the most powerful nuclear warhead ever built by the United States. Drawing on recently declassified documents and interviews with men who designed and routinely handled nuclear weapons, Command and Control takes readers into a terrifying but fascinating world that, until now, has been largely hidden from view. Through the details of a single accident, Schlosser illustrates how an unlikely event can become unavoidable, how small risks can have terrible consequences, and how the most brilliant minds in the nation can only provide us with an illusion of control. Audacious, gripping, and unforgettable, Command and Control is a tour de force of investigative journalism, an eye-opening look at the dangers of Americaâ€™s nuclear age. In the tradition of his beloved first novel, The Notebook, #1 New York Times bestselling author Nicholas Sparks returns with the remarkable story of two couples whose lives intersect in profound and surprising ways.Ira Levinson is in trouble. Ninety-one years old and stranded and injured after a car crash, he struggles to retain consciousness until a blurry image materializes beside him: his beloved wife Ruth, who passed away nine years ago. Urging him to hang on, she forces him to remain alert by recounting the stories of their lifetime together – how they met, the precious paintings they collected together, the dark days of WWII and its effect on them and their families. 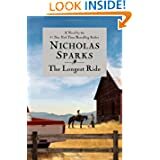 Ira knows that Ruth can’t possibly be in the car with him, but he clings to her words and his memories, reliving the sorrows and everyday joys that defined their marriage.A few miles away, at a local bull-riding event, a Wake Forest College senior’s life is about to change. Recovering from a recent break-up, Sophia Danko meets a young cowboy named Luke, who bears little resemblance to the privileged frat boys she has encountered at school. Through Luke, Sophia is introduced to a world in which the stakes of survival and success, ruin and reward — even life and death – loom large in everyday life. As she and Luke fall in love, Sophia finds herself imagining a future far removed from her plans — a future that Luke has the power to rewrite . . . if the secret he’s keeping doesn’t destroy it first.Ira and Ruth. Sophia and Luke. Two couples who have little in common, and who are separated by years and experience. Yet their lives will converge with unexpected poignancy, reminding us all that even the most difficult decisions can yield extraordinary journeys: beyond despair, beyond death, to the farthest reaches of the human heart. How Do Other Countries Create â€œSmarterâ€ Kids? In a handful of nations, virtually all children are learning to make complex arguments and solve problems theyâ€™ve never seen before. They are learning to think, in other words, and to thrive in the modern economy. What is it like to be a child in the worldâ€™s new education superpowers? 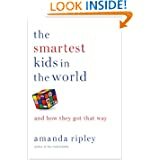 In a global quest to find answers for our own children, author and Time magazine journalist Amanda Ripley follows three Americans embedÂ­ded in these countries for one year. Kim, fifteen, raises $10,000 so she can move from Oklahoma to Finland; Eric, eighteen, exchanges a high-achieving Minnesota suburb for a booming city in South Korea; and Tom, seventeen, leaves a historic Pennsylvania village for Poland. Through these young informants, Ripley meets battle-scarred reformers, sleep-deprived zombie students, and a teacher who earns $4 million a year. Their stories, along with groundbreaking research into learning in other cultures, reveal a pattern of startling transformation: none of these countries had many â€œsmartâ€ kids a few decades ago. Things had changed. Teaching had become more rigorous; parents had focused on things that mattered; and children had bought into the promise of education. A journalistic tour de force, The Smartest Kids in the World is a book about building resilience in a new worldâ€”as told by the young Americans who have the most at stake. Just when you thought doomsday was over . . .Centuries ago Acheron saved the human race by imprisoning an ancient evil bent on absolute destruction. Now that evil has been unleashed and it is out for revenge.As the twin to Acheron, Styxx hasnâ€™t always been on his brotherâ€™s side. Theyâ€™ve spent more centuries going at each otherâ€™s throats than protecting their backs. 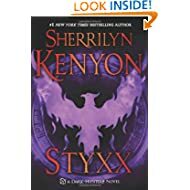 Now Styxx has a chance to prove his loyalty to his brother, but only if heâ€™s willing to trade his life and future for Acheronâ€™s.The Atlantean goddess of Wrath and Misery, Bethany was born to right wrongs. But it was never a task she relished. Until now. Yet itâ€™s hard to risk your own life for someone who once tried to take yours, even when it’s your own twin, and when loyalties are skewed and no one can be trusted, not even yourself, how do you find a way back from the darkness that wants to consume the entire world? One that wants to start by devouring your very soul? Bringing together Oryx and Crake and The Year of the Flood, this thrilling conclusion to Margaret Atwood’s speculative fiction trilogy points toward the ultimate endurance of community, and love. 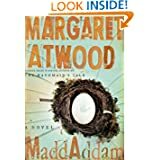 Combining adventure, humor, romance, superb storytelling, and an imagination at once dazzlingly inventive and grounded in a recognizable world, MaddAddam is vintage Margaret Atwoodâ€”a moving and dramatic conclusion to her internationally celebrated dystopian trilogy. Reacher is there to meetâ€”in personâ€”the new commanding officer, Major Susan Turner, so far just a warm, intriguing voice on the phone. But it isnâ€™t Turner behind the COâ€™s desk. And Reacher is hit with two pieces of shocking news, one with serious criminal consequences, and one too personal to even think about. 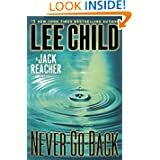 Combining an intricate puzzle of a plot and an exciting chase for truth and justice, Lee Child puts Reacher through his pacesâ€”and makes him question who he is, what heâ€™s done, and the very future of his untethered life on the open road. Tatijana of the Dragonseekers spent centuries encased in ice with her sister, trapped in limbo between life and death, never speaking to a soul other than those who tormented her. Now, she has been freed from her frozen prison by an unknown descendent. Awakened in human form, Tatijana yearns to explore the modern world in which she now livesâ€”a world with more mysteries than she is prepared for. Fenris Dalka has returned to the Carpathian Mountains after a long absence to be with his brother. He is scarred by centuries of battle, and every hard-won victory. But the real reason for his return home could prove deadly if discovered by the wrong manâ€”or woman. Upon his arrival, he is compelled by a beautiful and enigmatic stranger who carries the scent of fresh earth, of forest, of the night itself. In time Tatijana and Fenris will discover all that unites themâ€”their secrets and pasts, their predators, and the hot flush of passion that stirs their souls. Yet just as surely, seduced into the silvery darkness of a full-moon night, theyâ€™ll also discover everything ancient and evil that exists to destroy them. 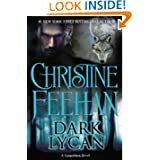 Includes a teaser for Christine Feehanâ€™s next Carpathian novel, Dark Wolf. Tamarack County, Minnesota, the gateway to the pristine Boundary Waters Canoe Area Wilderness. Within its borders lie a million acres of deep forest, a thousand crystal clear lakes, and a few quiet towns. This is the place that, for most of his life, sheriff-turned-private investigator Cork Oâ€™Connor has called home. As a blizzard swells just days before Christmas, the car belonging to the wife of a retired local judge is discovered abandoned on a rural road. After days without any leads, the search-and-rescue team, assisted by Oâ€™Connor, has little hope of finding her alive, if at all. Early on, Cork notices small details about the womanâ€™s disappearance that tell a disturbing story. And when the beloved pet dog of a friend is found decapitated, he begins to detect a startling pattern of ominous incidents throughout the area. Then Corkâ€™s son is nearly killed, and he knows this is no trick of his imagination. Someone is spinning a deadly web in Tamarack County. At the center is a murder more than twenty years old for which an innocent man may have been convicted. Cork remembers the case only too well. He was the deputy in charge of the investigation that sent the man to prison. As the threat of violence continues, so does life in the Oâ€™Connor household. Anne, Corkâ€™s younger daughter, comes home, having determined that sheâ€™s going to leave her religious order. Teenaged Stephen is in love for the first time, and Cork is being courted as well, even as he struggles to redefine life without his wife, killed several years ago. What they all discover is that love, too, can be a curse. It can cause the greatest euphoria and the most profound despair. It can inspire forgiveness and understanding, passion and desire. It can provoke jealousy and rage. It can bring on betrayal and even murder. Full of riveting suspense, fascinating characters, and set in a gorgeous yet unforgiving landscape, Tamarack County is an outstanding addition to an award-winning series that mystery lovers canâ€™t get enough of. As you read this book, there are a few things you have to understand: 95 percent of my stories are truthful. 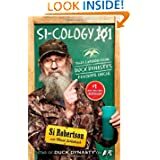 Every member of the Robertson family has the God- given gift of storytelling. Hey, when youâ€™ve sat in a duck blind for more than half of your life, you have to figure out some way to pass the time! Itâ€™s better than looking at Willie and Jase for six hours! Many of the stories I like to tell happened when I was a young boy or when I was in Vietnam. At my age, a few of the details are cloudy, but Iâ€™ll recollect the coming stories as best I can. Hey, just remember it isnâ€™t a lie if you think itâ€™s true! Itâ€™s up to you, the reader, to figure out whatâ€™s truth and whatâ€™s fiction. Best of luck with that, Jack! May the force be with you. Hey, another thing you have to know: my stories are kind of like my vocabulary. You might have noticed I like to say â€œheyâ€ quite a bit. â€œHeyâ€ can mean anything. It can mean â€œyes,â€ it can mean â€œmaybe,â€ and it can mean â€œno.â€ Hey, it could mean â€œnext week.â€ The bottom line is, you have to understand â€œheyâ€ to understand me. And if you know anything about Silas Merritt Robertson, you know Iâ€™m a hard rascal to figure out.